Avi Wolfman-Arent joined WHYY in December 2014. Prior to that he covered nonprofits for the Chronicle of Philanthropy and education technology for the Chronicle of Higher Education. Avi first took a shine to radio at Columbia University’s Graduate School of Journalism. He earned his undergraduate degree at Haverford College and grew up in the D.C. area. Despite the latter he’s a lifelong Philadelphia sports fan, devoting an unhealthy portion of his conscious thought to the Sixers, Phillies, and Eagles. He lives in South Philadelphia. A lawsuit that could reshape the way Pennsylvania funds its public schools cleared another roadblock Tuesday. The Commonwealth Court determined that the case was not moot, dismissing an argument by the head of the GOP-controlled state Senate. Senate President Pro Tempore Joe Scarnati, R- Jefferson, said the lawsuit should be tossed because the state recently passed a student-weighted funding formula that distributes some state dollars according to student enrollment, local tax effort, student poverty, and other factors. The plaintiffs — a coalition of school districts, parents, and advocacy groups — argued that the new formula, which applies to under a 10th of state aid, hasn’t rectified large funding gaps between districts or provided enough money to ensure all students can receive an adequate education. Judge Robert Simpson said in his Tuesday decision there was too much in dispute to dismiss the case at this stage. The funding formula became law through Act 35. “Clearly, a factual dispute about the significance and adequacy of the funding changes wrought by the passage of Act 35 persists,” Simpson wrote. This mini-victory for the plaintiffs likely means the landmark case will proceed to a full trial. Advocates brought the case in 2014, and they have been fighting since to argue the merits of their case. The plaintiffs first had to convince the Pennsylvania Supreme Court that education funding was a topic the judiciary could take up. Then they had to beat back preliminary objections from Scarnati and Speaker of the House Mike Turzai, R-Allegheny. 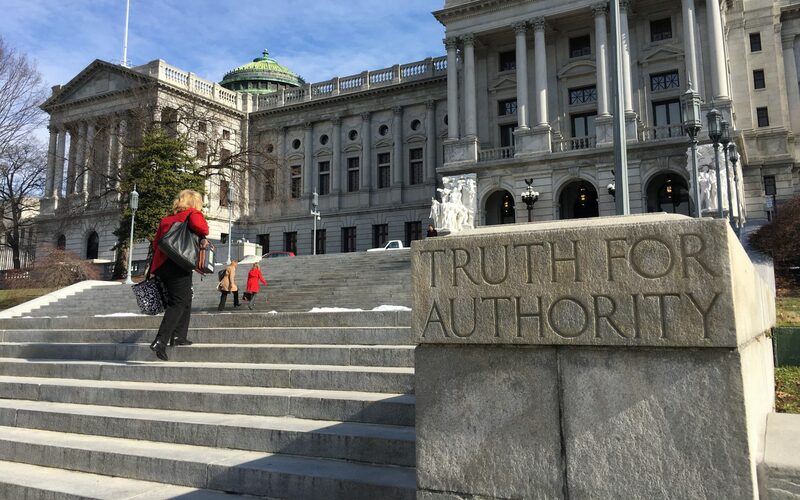 The plaintiffs believe Pennsylvania’s system for funding education has violated the state Constitution on multiple fronts. They argue that the system is so inequitable it violates the state’s equal protection clause. They also believe the state has so severely underfunded some districts that those districts can’t offer a “thorough and efficient” education, another constitutional mandate. If the courts side with the plaintiffs, they could command the legislature to unleash more state education dollars. Opponents say funding decisions should be left to lawmakers, who are accountable to voters for how they use state revenue. No date has been set for a trial. A spokeswoman for Scarnati did not immediately respond to a request for comment.